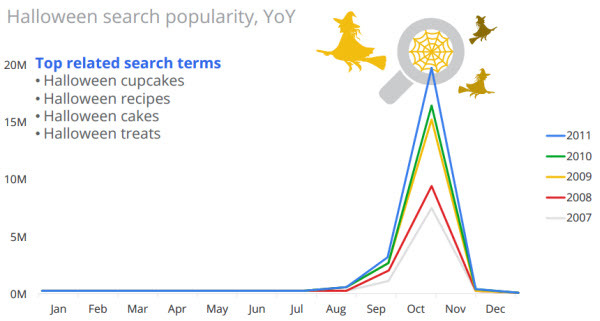 A year over year comparison of Halloween-related search phrases. I love seeing those numbers climb as more and more people turn to search for information each year. And what Halloween party would be complete without the themed beverages. I was surprised to see “punch” in there as the second most searched-for drink keyword variant, so I headed to the Google Keyword Tool to see what other holidays were punch-worthy. 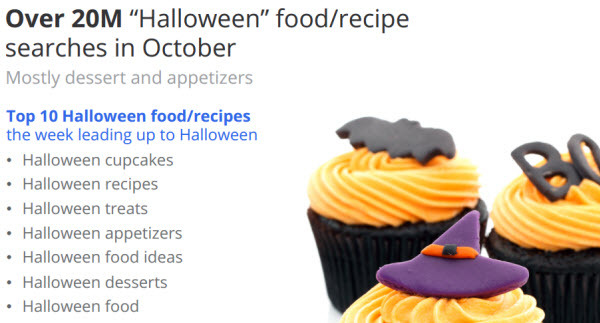 It turns out that Halloween is the most popular punch-related holiday search phrase, with Christmas and holiday tied for second. 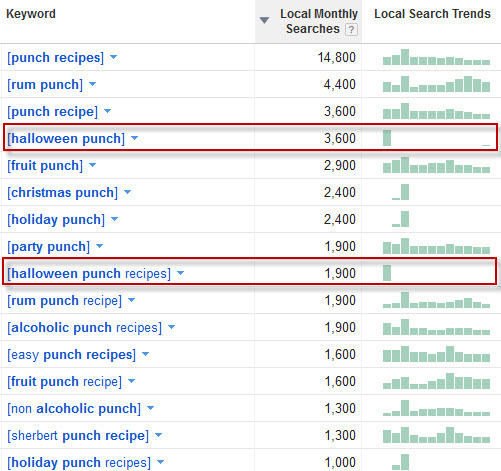 More searchers are looking for punch recipe content than specific holiday themed punches it seems.